“Not to dismiss that history,” Tran said. “But when we talked about genocide or World War II, we would spend three months on Europe while learning nothing about the Khmer Rouge or Japanese Internment. AP World History became synonymous with white (his)story. Always one-sided and written by ‘experts’ rather than the actual people they claim to know so much about." The son of Southeast Asian refugees, Tran grew up in the Hilltop and Eastside neighborhoods of Tacoma. Like many of his peers, Tran said saw three options for himself after high school: joining a gang, getting a job or enlisting in the military. Despite the frequent violence in Tacoma, Tran was able to succeed in high school through the support of advisers from TRiO Upward Bound. A federally funded program, TRiO supports low-income and first-generation students in graduating from high school and preparing for higher education. After being accepted to the University of Washington and initially pursuing studies in psychology, Tran discovered a new path while taking a course on Asian American studies. After changing his major to American ethnic studies, Tran then learned about the Education, Communities and Organizations (ECO) major offered by the College of Education and decided to double major. Through courses with Research Associate Jondou Chase Chen and ECO Director Cassady Glass-Hastings, Tran learned how to take an asset-based community development lens and use it in his own work. By recognizing community strengths, this approach looks for equitable and sustainable solutions to societal problems. While completing his double major, Tran also has worked with a variety of organizations, both on and off campus. 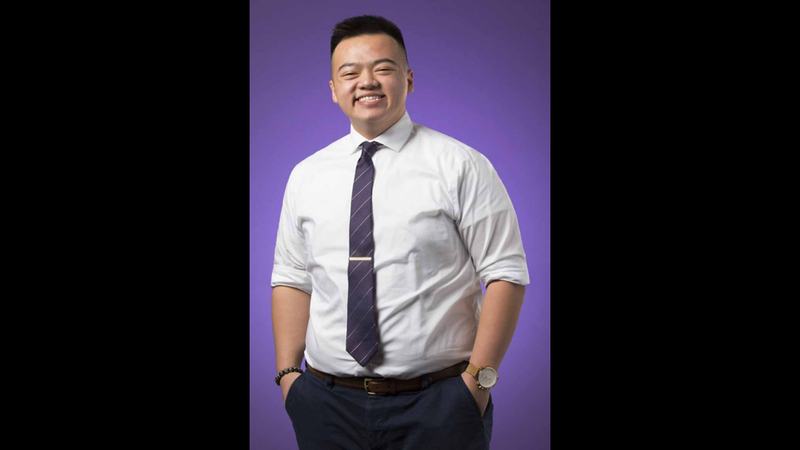 As a student ambassador for the UW Office of Minority Affairs & Diversity, Tran serves in his hometown of Tacoma and across the state, supporting students of color through the UW application process. Now, Tran is using his leadership role in the Southeast Asian American Education (SEAeD) Coalition to influence change in education policy at the state level. His current focus is on advocating for HB1294 and HB1158/SB6406. HB1294 is a bill that would implement a model ethnic studies curriculum for public schools in Washington state. HB1158/SB6406 is a bill that would repeal the 1998 Washington state ban on affirmative action. More than just legislative advocacy, he pushes to see those policies take effect. After the 2016 passage of HB1541, an education equity and data disaggregation bill, Tran and his team of interns are still keeping tabs on the people and organizations tasked with the implementation of this new law. Tran aims to make a macro-scale impact in education through policy and curriculum development. One ambitious goal is to lead national changes in AP curricula designed by College Board, to be more reflective of the people and history of communities that make up the United States.